Our Products >> SHOOTING AMMO, Single Cartridges, Packages & Boxes >> PISTOL Calibers, Boxes & Packages, CenterFire Shooting Ammo >> INCH! 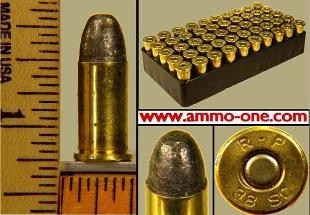 Calibers, Pistol Boxes & Packages, CenterFire Ammo >> .38 Short Colt, Obsolete, Boxes, Shooting Ammunition. >> .38 Short Colt, One Box of 50 Cartridges, Obsolete. 38 Short Colt Cartridge history:The 38 Short & Long Colt were introduced in the late 1800s. The Short Cort for the Colt Army and Navy Revolvers in 1892, and the Long colt for the "New Police" revolvers in 1875. Although considered a current production cartridge, many manufacturers have stopped producing this caliber, or only do special runs every one or few years. .38 Short Colt, One Box of 50 Cartridges, Obsolete.